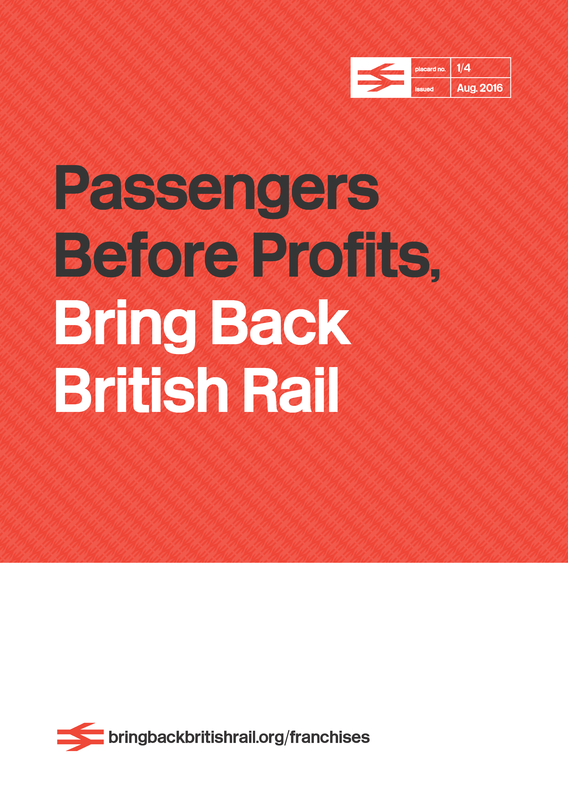 Since 2009, volunteer-run Bring Back British Rail has been campaigning for a re-unified national rail network run for people not profit. 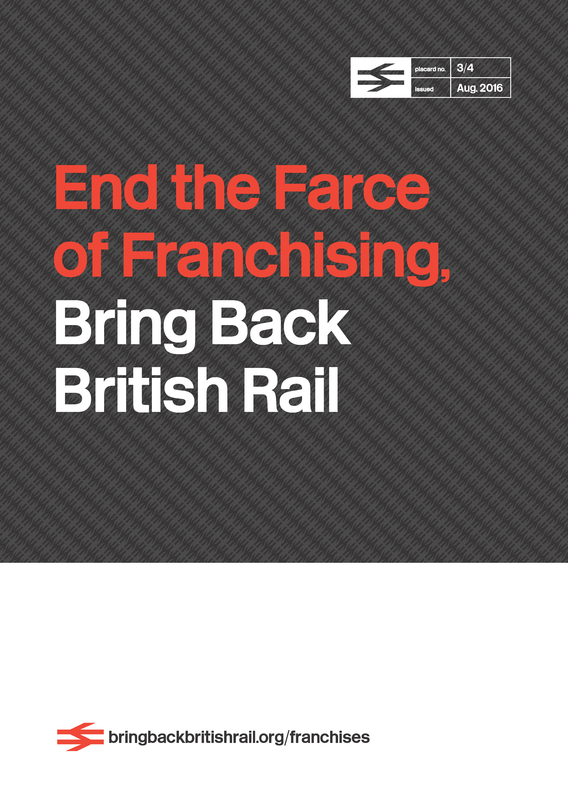 Over the last 9 years, Bring Back British Rail has grown to more than 100,000 supporters across the UK. The privatisation of our railways has been a disaster. Not only do we now subsidise rail by 2-3 times more each year than we did as publicly-owned British Rail, but train fares have also risen 24% above inflation since the 1990s. The East Coast franchise fiasco exemplifies the problems. The current Virgin Trains East Coast franchise has failed within 3 years. Yet the Secretary of State for Transport Chris Grayling is allowing its operators - Stagecoach and Virgin - to simply walk away, free to bid for rail franchises again. We want an investigation and we want action to stop this happening again. We need your support to bring Chris Grayling to court. We can't do this without you. Please pledge and share today! Virgin Trains East Coast is the third private company (after GNER in 2007 and National Express in 2009), which has failed in running our East Coast mainline. When National Express failed in 2009, the then Secretary of State for Transport Andrew Adonis set up the publicly-owned 'East Coast' to run this vital route from London to Scotland. East Coast was a brilliant success: passenger and staff satisfaction peaked and over £1 billion profit was returned to the Treasury during its five-and-a-half years in operation. However, on 5 February 2018, in a speech to Parliament, Chris Grayling confirmed that the Virgin Trains East Coast franchise had failed. He said that the consortium had “breached a key financial covenant” and that “Stagecoach [had] got its numbers wrong”. So wrong, in fact, that the franchise failed within 3 years of its start date. Despite this breach of “a key financial covenant”, the Secretary of State has decided that Stagecoach may be permitted to run the East Coast franchise again. He has also included Stagecoach on a shortlist of bidders for the East Midlands franchise. that he will revoke the Franchise Passports granted to Stagecoach and/or Virgin and/or suspend them pending a full investigation of what went wrong. whether the costs of terminating the franchise have in fact been met or could be expected to be met by the fulfilment of Stagecoach’s obligations. To date, the Secretary of State has failed to answer the second question in full, despite the fact it is clearly crucial that everyone understands how much Stagecoach and Virgin will have cost us taxpayers. We are raising £15k to pay for the initial costs of taking this action. But we also need to be sure we have enough money to cover a full legal challenge, so will then carry on to raise an additional £15k to cover all potential cost liability. Branson is a thief and a charlatan. On 16 May, one month after we sent our pre-action letter to Transport Secretary Chris Grayling, it was announced that the East Coast mainline would be ‘re-nationalised’, as LNER (London North Eastern Railway) from 24 June 2018. This looks like great news, but our lawyers have written to request further details about the new LNER arrangement being put in place. In addition, we are continuing to monitor the ongoing review of the suitability of Stagecoach and Virgin to retain their franchise ‘Passports’, given the failure of Virgin Trains East Coast. Once we receive a substantive reply from the Department for Transport, we will post another update. In the meantime, please continue to pledge your support to our ongoing action and share this page online.